In October I had an incredible experience visiting Krakow in Poland, on a trip organised with Sheraton Grand Krakow. Myself, along with 6 other bloggers, stayed at the hotel and got to experience some of the amazing things the city has to do and see. 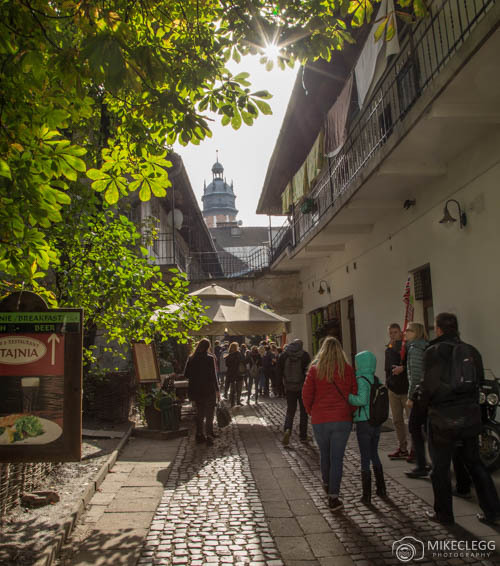 Through this post I will tell you about my experience, including the stay at the hotel, things you can do and see around Krakow, as well as some great places to eat and drink. Krakow is one of the oldest cities in Poland and the second largest after Warsaw. 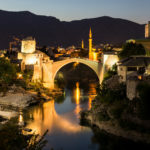 The city is in fantastic condition as it hasn’t been damaged during war. It’s located in the south of Poland, close to the Slovakia and Czech Republic borders and has the Vistula river running through it. 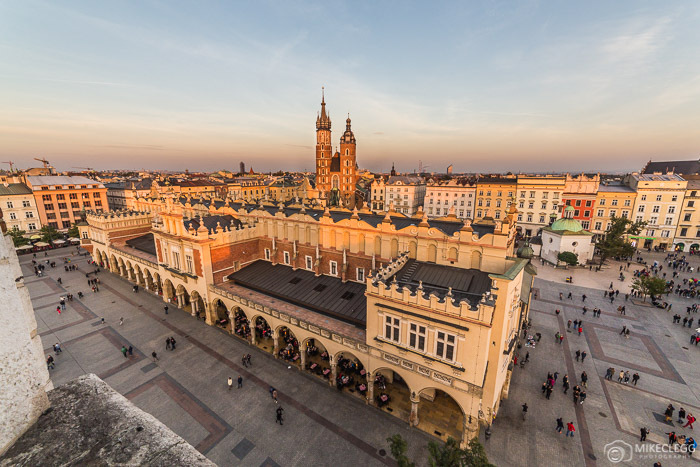 You can easily get to Krakow by bus from cities in Poland and throughout Europe, or if you fly the city is only 20 minutes drive/transfer from John Paul II International airport. 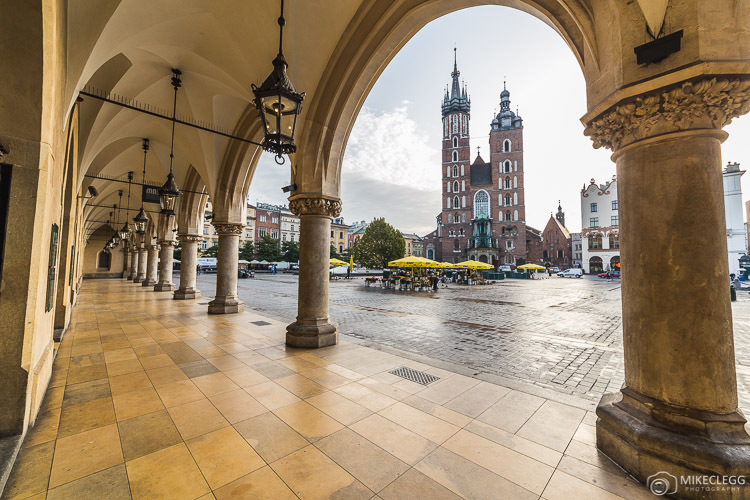 Krakow is now a popular destination with great restaurants and bars, cultural experiences and historic medieval architecture. Further below you will find some of the things you can do whilst visiting. 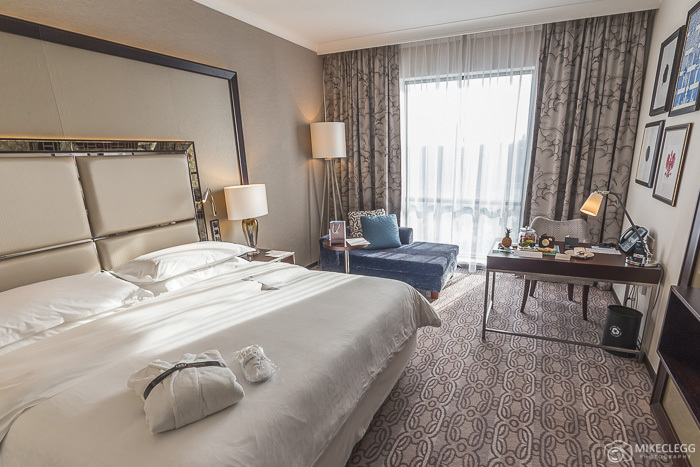 The Sheraton Grand Krakow is a beautiful luxury hotel right next to the Vistula River and only 5 minutes walk to Wawel Castle and 12 minutes walk to the main square (Rynek Główny). The hotel has 232 guest rooms and 8 suites, with prices starting from 399 Polish Zloty (PLN), approx 92 euro (depending on exchange rate). The design of the hotel is very bright with lots of natural light throughout the huge atrium as well as in the rooms. On-site, the hotel is well equipped with facilities that will provide you with a comfortable stay. These are mentioned below. Club Room – During my visit I stayed in a Club Room facing the river. The room is spacious and comfortable. It has an elegant, modern luxury design, with bright simple colours and elegant shapes and patterns. The room comes with a large comfortable bed, big flat screen TV, lounger near the river and a spacious desk to work on. In the Club Room there is a separate bathroom with toilet, shower and bath facilities, as well as toiletries and lots of mirrors. WIFI – WiFi was provided throughout the hotel and worked without any problems and at a good speed. 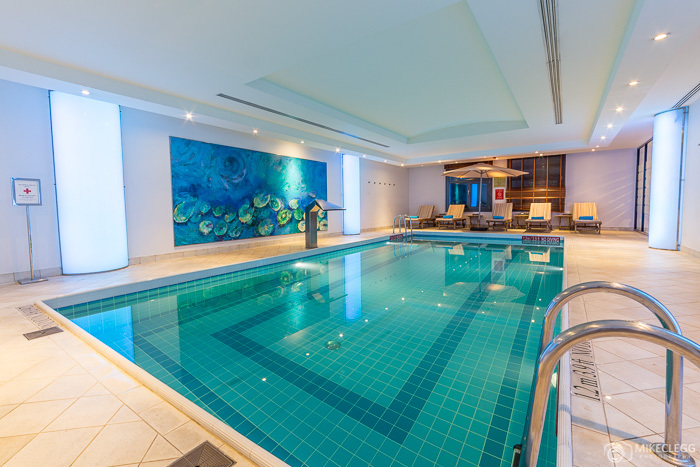 Facilities – Gym, Pool – There is a well-equipped gym and beautiful heated indoor pool which is open for much of the day. 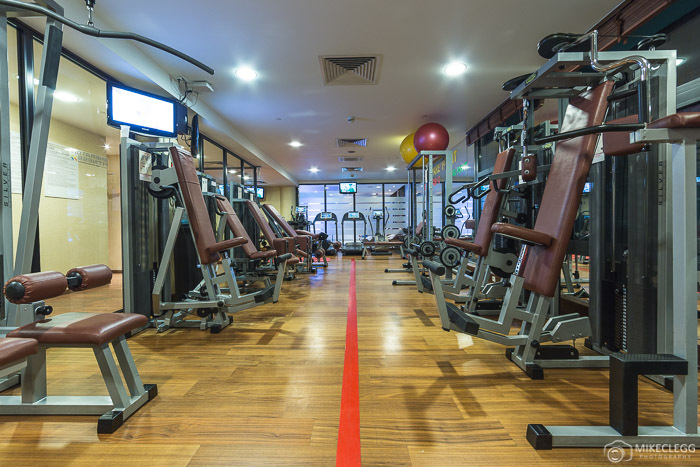 You will find changing rooms and lockers near the facilities. The hotel has three places to drink and dine on site: The Olive Restaurant, SomePlace Else and a Roof Top Terrace & Lounge Bar. The Olive Restaurant – The atrium of the hotel is home to The Olive Restaurant, which is a large and bright area where breakfast is served, as well as serving Polish and Mediterranean dishes during the day and evening. Our food was cooked by the executive chef Jacek Filipczyk who was extremely talented and served up some of the best pierogi I’ve ever had. To see the menu or make reservations head to theolive.sheraton.pl. 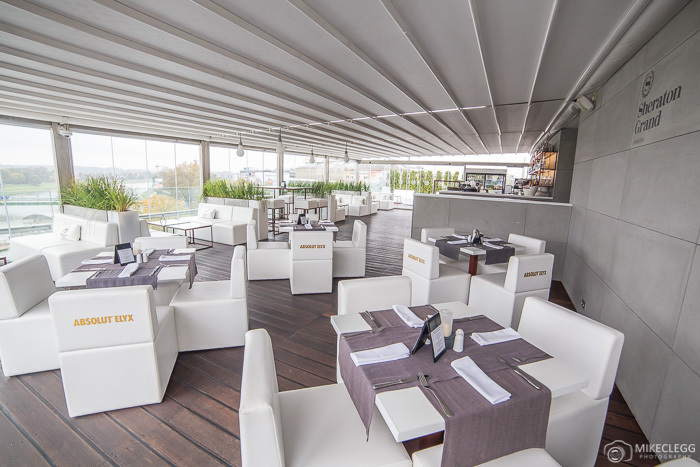 Roof Top Terrace & Lounge Bar – From the Roof Top Terrace & Lounge Bar, you will enjoy views over the Vistula River and see Wawel castle in the distance. This bar is a great place to relax in the evening and also enjoy tasty cocktails. In the bar are various food and snack options, including tapas, soups, sandwiches, salads, polish and fish dishes. It is also an ideal spot for watching the sunset which often sets across the river. For more information head to taras-loungebar.pl. SomePlace Else – On the ground floor near reception is a sports bar called SomePlace Else. 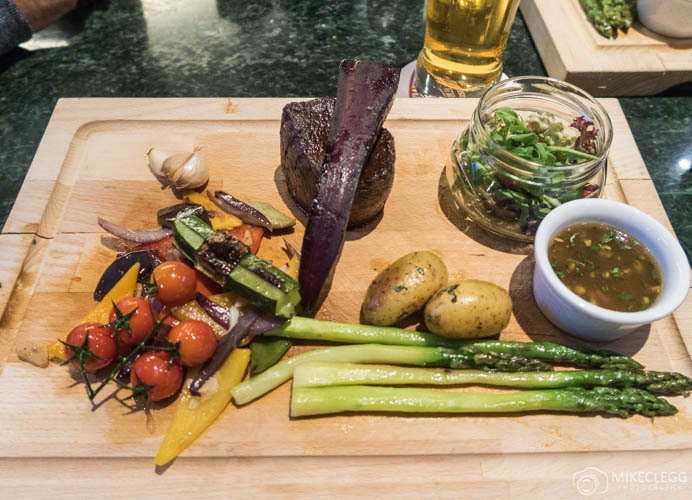 Here you can enjoy a varied international cuisine and drinks whilst watching various sports. The atmosphere in the sports bar is much more casual than the Olive Restaurant and Rooftop bar. The food in the bar is delicious, as seen below. The menu above was from a steak autumn offer. To see more items from the menu at Someplace Else head to krakow.someplace-else.pl. 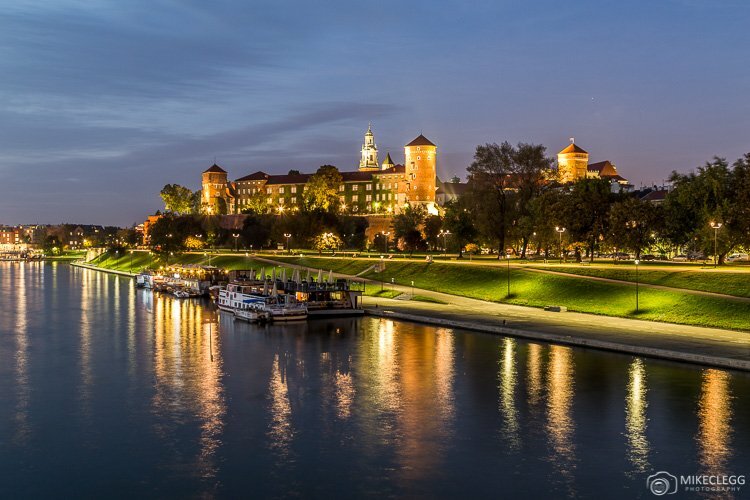 Very close to Sheraton Grand Krakow is Wawel Castle, which is one of the oldest, and most famous landmarks in the city. 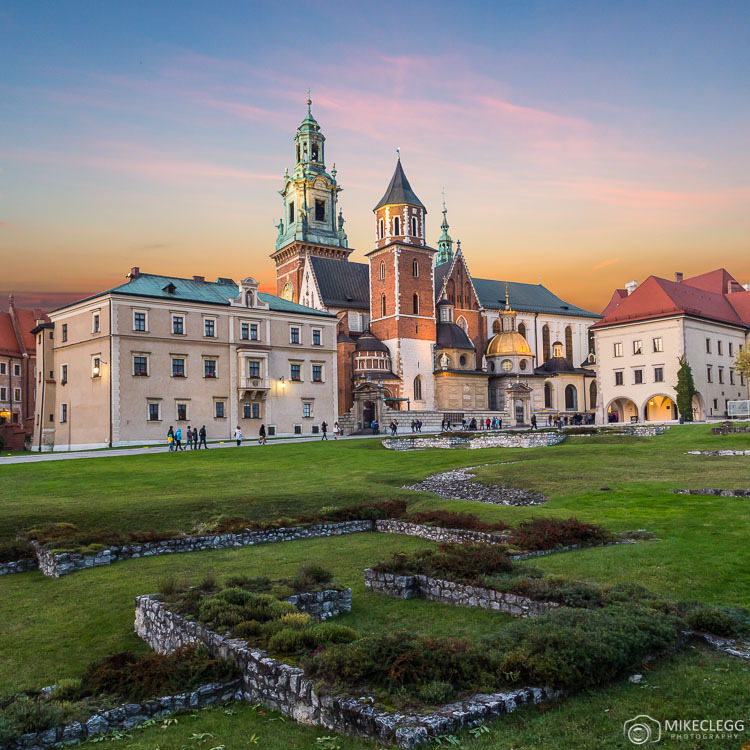 Within the castle complex are attractions including Wawel Cathedral, Military Barracks and the Muzeum Katedralne as well as a central courtyard. There are various exhibitions in the castle including staterooms, royal private apartments and the crown treasury and armoury. On-site is also the Sandomierska Tower, including outdoor gardens, both are only open certain times of the year. During our visit we took a walking tour up to the castle where our guide (Tomasz Górny) explained some of the history and guided us through the cathedral. Visit www.wawel.krakow.pl for visitor information including opening hours and tours. 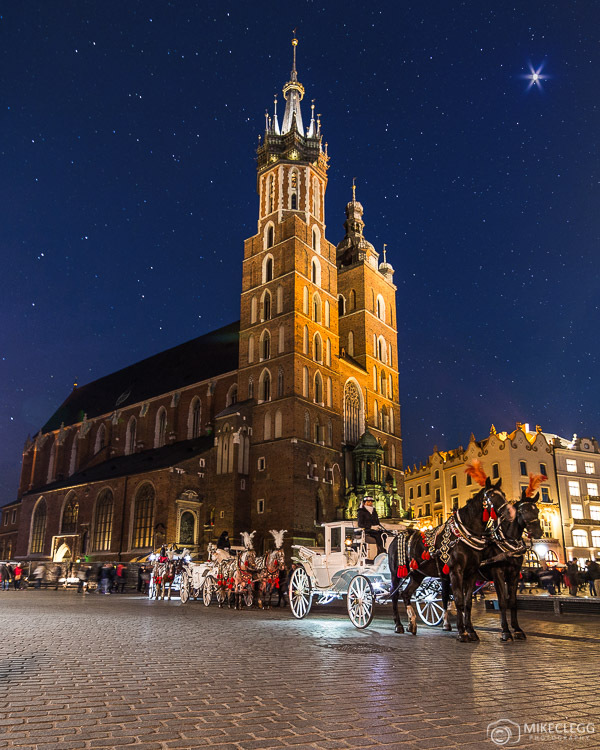 A memorable experience for anyone visiting Krakow is to take a horse carriage ride around the city. These can often be found close to St Mary’s Basilica and at other places around the city. This Roman Catholic church from the 14th century is one of the tallest buildings around Old Town and the inside is particularly impressive with its detailed design and rich blue and gold colours. The church is located on the main square near the Old Cloth Hall. 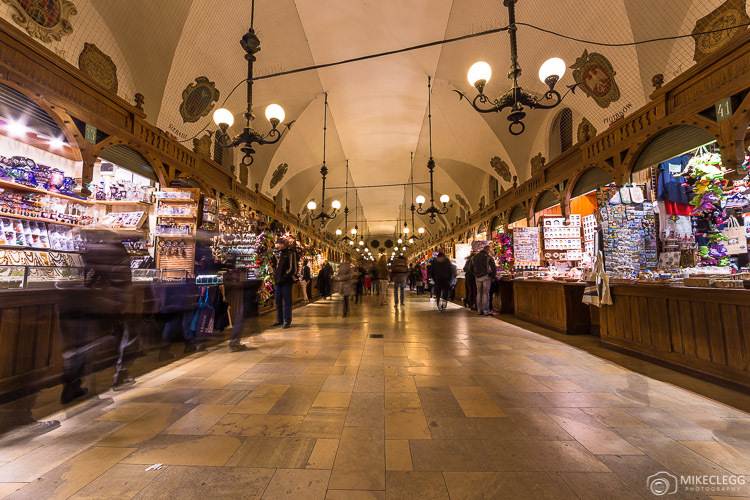 The Cloth Hall is a building at the centre of the city which used to be a major source of trade, selling spices, textiles, salts and other imports. It is now a popular attraction with restaurants along the outside and lots of shops selling souvenirs and other items running through the middle of it. This 70 metre tall Tower was built in the 13th century and used to be connected to the old Krakow Town Hall before it was demolished in 1820. It now serves as a wonderful landmark and for a small fee you can climb up the tower to the observation deck, where from the top you’ll get great views. This is also a good sunset spot at certain times of the year, as can be seen below. (depending on closing times and time of the year). On our second day we went to the Kazimierz with tour guide Izabela Śliwińska. 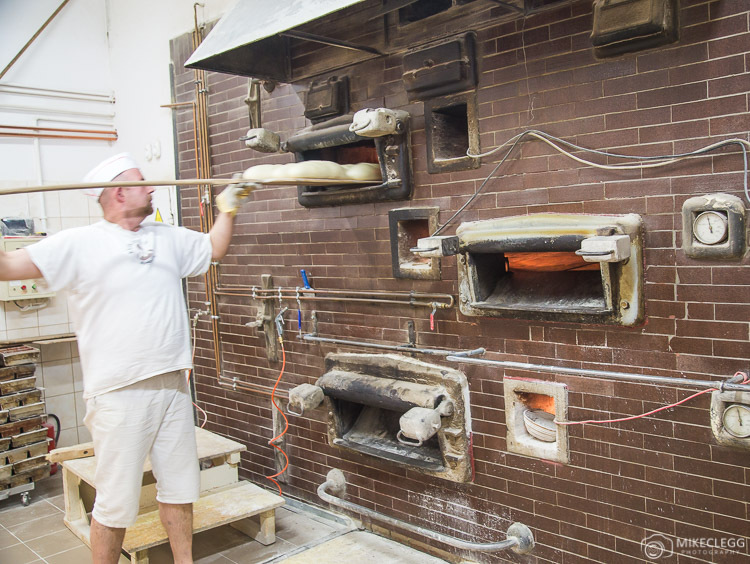 Here we visited Piekarnia Mojego Taty, which is a traditional bakery that cooks bread in a 1914 ceramic oven called the Anglik (The English Man). The bread we got to try was delicious and full of fresh ingredients without any artificial flavours. 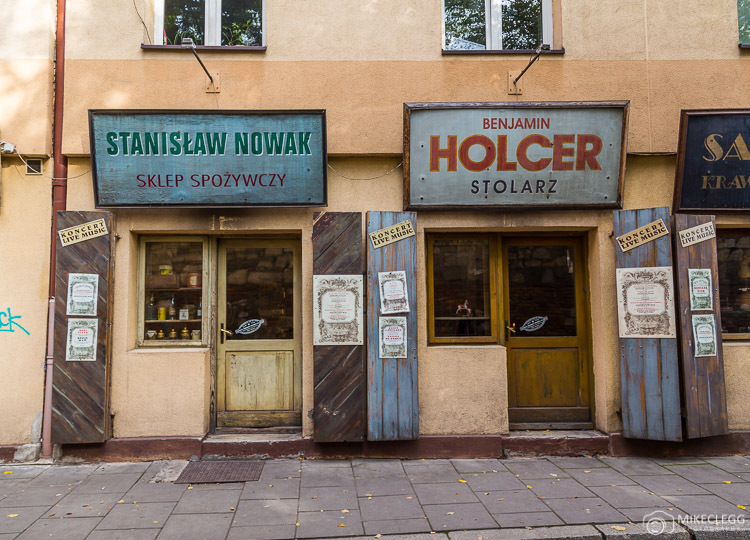 You can find this bakery at this location… Piekarnia Mojego Taty (Mojego Taty Bakery), Meisselsa Street, Kazimierz. We then discovered other areas such as this courtyard used in the movie Schindler’s List. This is a famous tourist spot and you will often see tours of people. 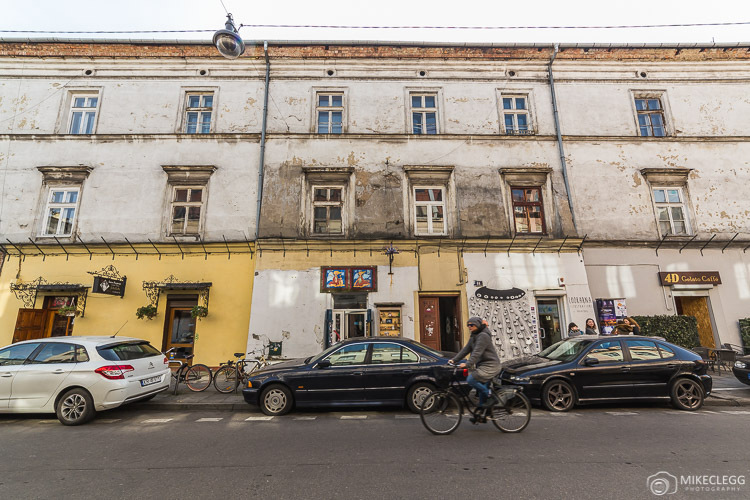 Nearby are lots of really old streets such as Ulica Jozefa, as well as Szeroka which is in the heart of the Jewish quarter and has shops from the 16th century. 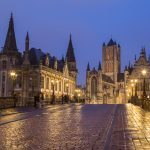 During my visit to Krakow with Sheraton I got to experience a few places around the city for food and drink. Baroque cocktail bar – Baroque is a cocktail bar north of the main square. Here we had amazing Polish vodka and cocktails. 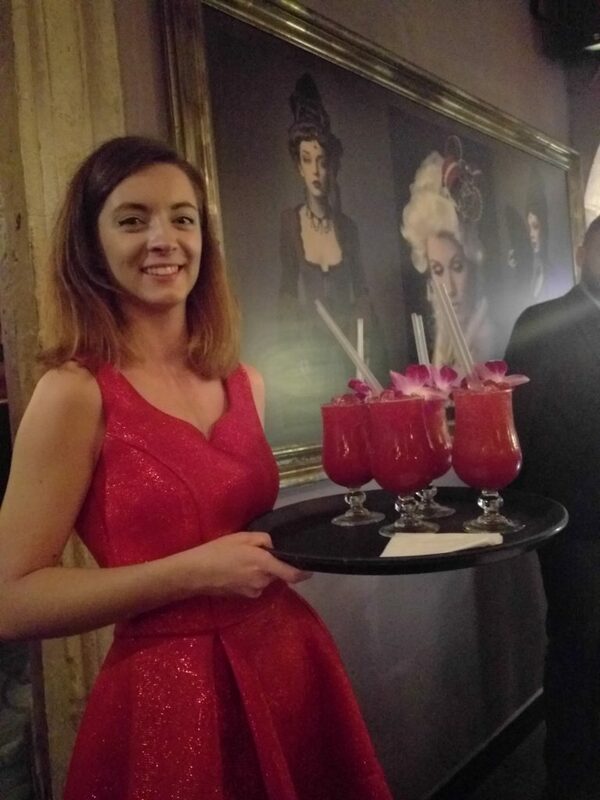 The bar is well decorated and the prices are very affordable. Pod Nosem Restauracja – Close to Wawel Castle is Pod Nosem Restauracja, where we had an exceptional dining experience with dishes including caviar with blini, quail eggs and cream, beef tartare with mushrooms, and deer fillet with ceps, buckwheat and cranberries. The atmosphere of the restaurant adds to the experience and the decor is in an old, medieval and elegant style. 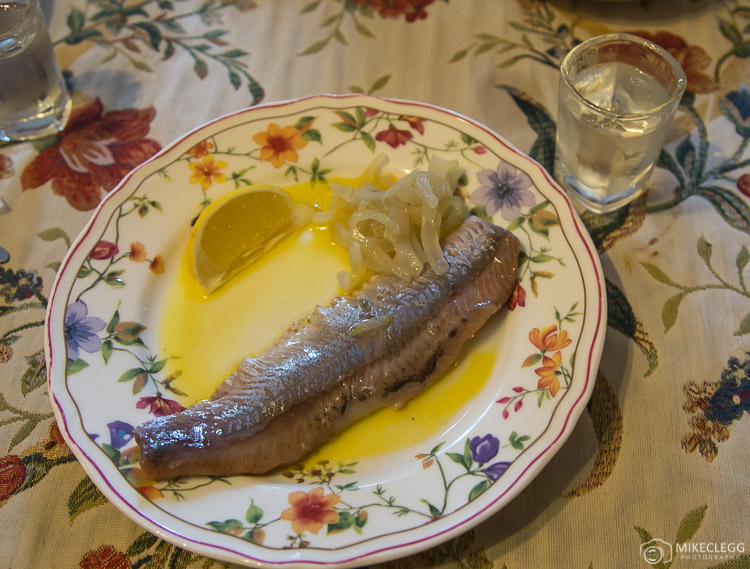 Klezmer-Hois – At this traditional Jewish Cafe, I enjoyed a common polish dish of herring served with a shot of vodka. 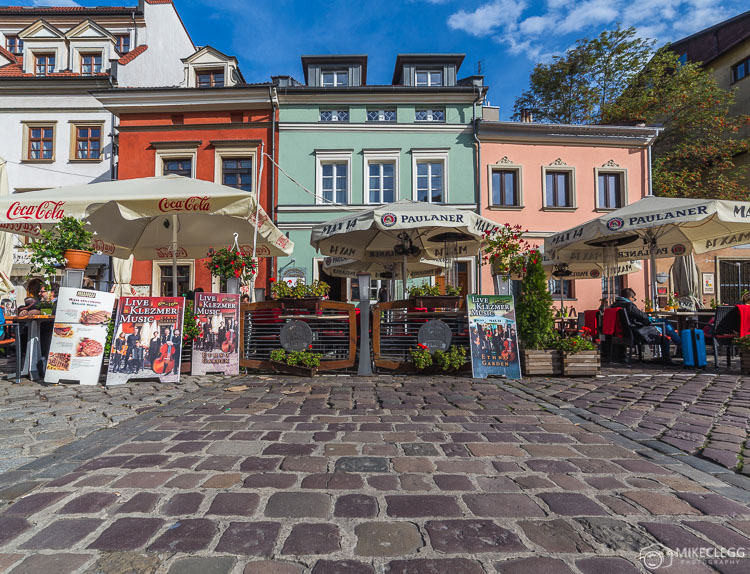 This cafe is located in the middle of the Kazimierz district close to Szeroka street. 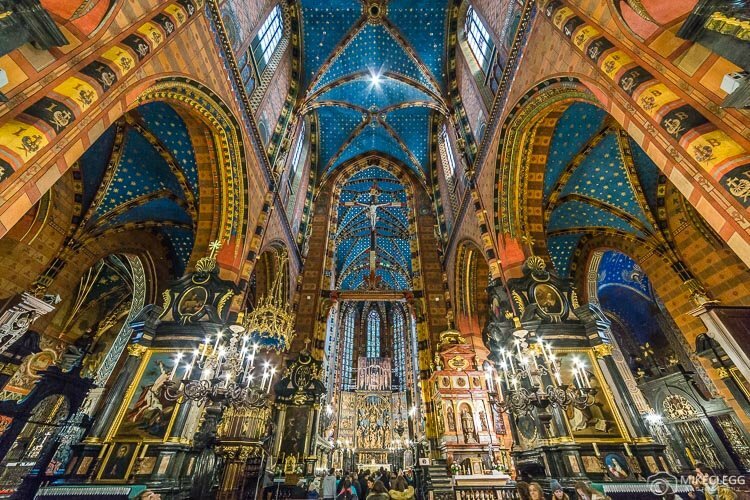 Krakow is a beautiful city with a rich history, stunning architecture and old streets. 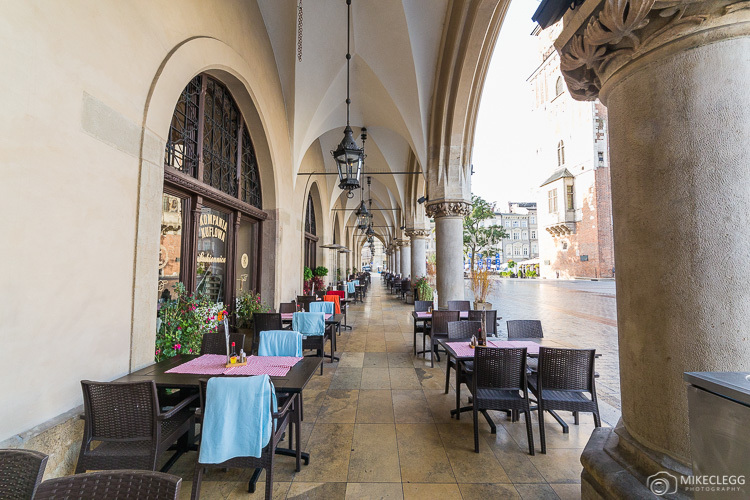 The city has lots of traditional Polish restaurants and bars allowing for the enjoyment of the local cuisine and culture. It’s easy to explore much of the city on foot, but there are also trams, buses and taxis available. 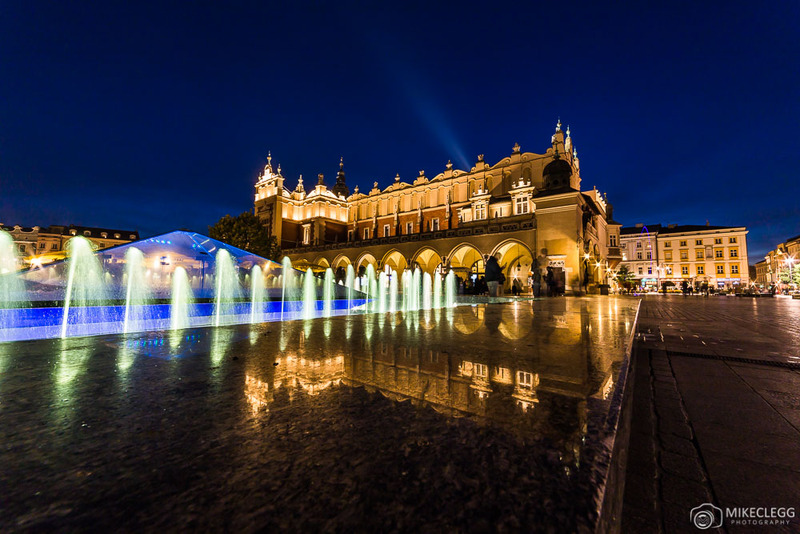 For me, staying at the Sheraton Grand Krakow was the perfect way to experience the city, being located close to many of the main attractions in the city, as well as providing fantastic facilities. To find out more information on visiting Krakow visit the tourist website at www.poland.travel/en/krakow. For more information on the Sheraton Grand Krakow visit www.sheratongrandkrakow.com. The other Instagrammers and bloggers on the trip are below. Head to their profiles to see their pictures from the trip and from their other travels. If you head to the Instagram links below you see more pictures from Sheraton Grand Krakow, as well as the Sheraton Grand Hotels. instagram…sheratongrandkrakow (Sheraton Grand Krakow official account). 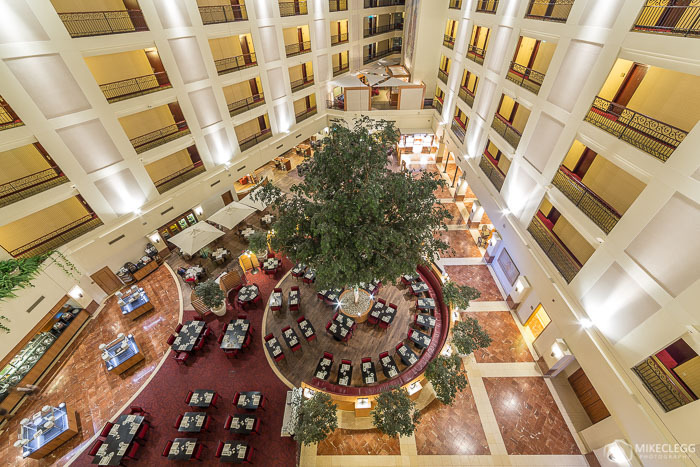 instagram…tags/sheratongrandkrakow/ (pictures tagged to Sheraton Grand Krakow). 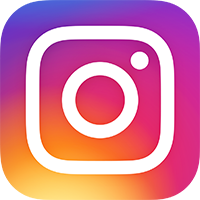 instagram…tags/sheratongrandtour (pictures tagged to Sheraton Grand Tour). Disclosure: This trip to Krakow was sponsored by Sheraton Grand Krakow and Sheraton Hotels. All words, pictures, views and opinions from the experience are my own. Hey Buddy!, I found this information for you: "An experience in Krakow with Sheraton Hotels". 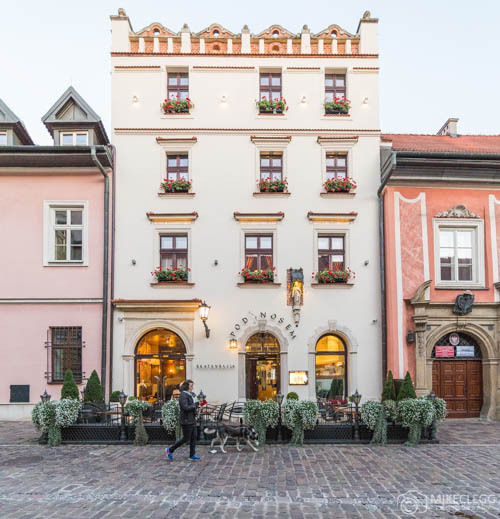 Here is the website link: https://www.travelanddestinations.com/an-experience-in-krakow-with-sheraton-hotels/. Thank you.